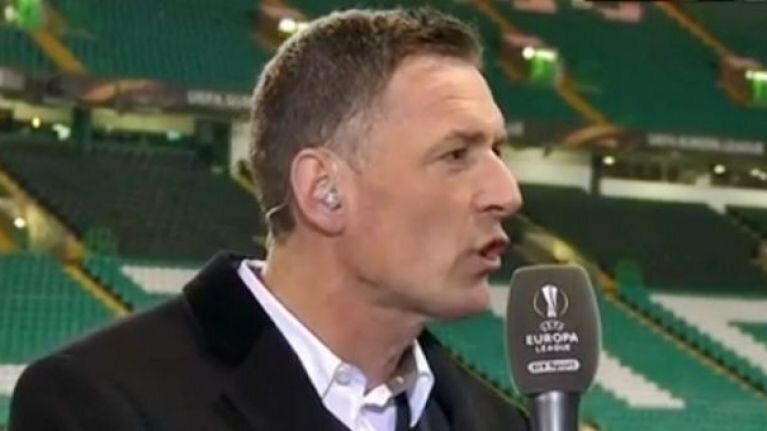 Chris Sutton, Celtic Fans Don’t Need You To Tell Us What It Is That We Want. Chris Sutton is entitled to every one of his opinions. He’s also entitled to talk as much nonsense as he likes. I will call him out on his nonsense, but I will never suggest that he does not have the right to say whatever he likes. What he doesn’t have the right to do – what he has no right whatsoever to do – is misrepresent the opinions of other people. Today, before the Kilmarnock game, he talked about the midweek game. He can’t help himself but to snark at Brendan over “prioritising” domestic football. He then said that Celtic fans are “split” on the manager’s decision to prioritise domestic football. What a nonsensical statement that is, and if he thinks he can use that as a way to suggest that Brendan’s not right then it’s him who is dead wrong. Look at the situation right now. Seven domestic wins on the bounce, during a spell of injuries that has sidelined our captain and one of our only two out and out strikers. Central defenders have been dropping like flies. Last we lost two players to injuries that will put them out for the season. One point from the top of the league, with a game in hand, and in the first cup final of the season. Who is right here and who is wrong? I know who my money is on. It’s when he talked about how Celtic fans want “success in Europe” that I started to drift. Because, first, it depends on exactly how you define success. What represents success in Europe these days? If he means getting out of the Europa League group we’re in, then I’d say I agree. I’d still rather, with so many injuries, that we prioritised our domestic dominance though. And if he’s talking about getting to rounds with the word “final” in it, then he’s talking rot. Celtic fans have a greater grasp on reality than Sutton and others appear to believe. We went into the game in Germany missing a number of key players, and with a heavy domestic run coming up including two matches against Hearts, sitting top of the table, one of them being a semi-final, we rested players who we couldn’t afford to have injured and others who had just come back from injury who simply weren’t ready to play. I know no Celtic fan who disagreed with that decision. Because we did that in a competition which no Celtic supporter who I know believes we stand the slightest chance of being able to win. That we’d rather go as far as we can in a competition where we’re inevitably going to get knocked out rather than continue making history – the sort that will never be challenged – right here at home? There is virtually no-one in our support who would have traded even three points in Germany for a shot at 3Treble. It is ludicrous to expect the current Celtic team – with all the challenges that we face – to compete at the European level. Sutton played in a better side than this with, alongside better players, in the last football era that was remotely sane, and where we really could compete; his team got to a final but didn’t manage to accomplish that which he thinks this one should aspire to. They also suffered reversals, away, every bit as bad as those for which Brendan gets stick. It is madness. It is nonsense. But Sutton is entitled to believe in all of it. What he’s not entitled to do is make the wholly false claim that the Celtic support is split on this issue, as he did today and that many expect and believe the same thing as he does. The claim is absolute nonsense, and he should be called on it. He can say that the manager is wrong if he likes. He can state his own personal opinion. What he does not get to do is drag us into the argument, and to use that against Brendan Rodgers. The manager has our trust. Much as I respect the guy, Sutton is someone who used to play for us, and is now a media troll whose employers are The Daily Record. Only one winner, if it comes to that. Never miss an article on The CelticBlog again … download Celtic News Now, the best aggregator of Celtic stories on the internet, by clicking here. You’re supporting a great Celtic fan project and all of the various sites … and it’s free.